This wine is continuing the Vd’O collection “Varietals de terrer”. 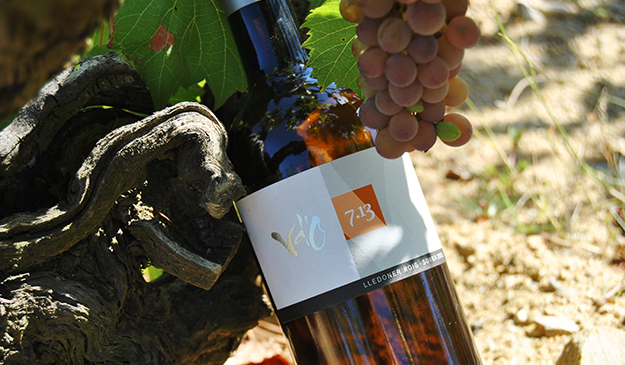 It has been made with selected grapes from the old plot Camí de Mollet planted in 1924, grown on a gravelly/sand soil. The grapes are picked by hand and collected into small crates of 10 kg. A period of cold soak in a fridge (at 2-4ºC) followed by skin contact maceration during 12 hours. The wine ferments in 500l French oak barrels at low temperature, remaining in contact with its lees for 8 months. Complex bouquet: pit fruit, apricot, yellow plums, a lot of spices and a hint of earth. The palate is medium-bodied, very tasty, almost salty, powerful and round.